Zenith Men's 96.0529.4035/51.M Defy Xtreme Tourbillon Titanium Chronograph Watch I decided to splurge on myself, at christmas. Noticing that the price had dropped on this watch, I figured it was time to purchase...time. Man, this watch is awesome, does everything it's supposed to do, is dead on accurate, attractive etc. 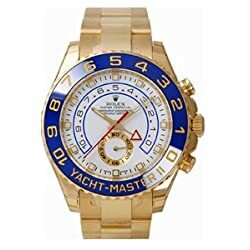 Really, for the watch itself - 5 stars. But it's imperfect, in it's perfection. So now my phone rings, like... everyday. Some dude from the International Meridian Conference, in Greenwich, UK. "What time do YOU have?" And really early in the morning, too. Saves $58,000, what a deal! 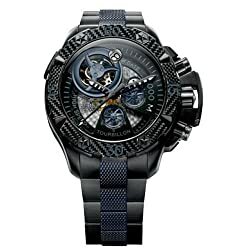 Zenith Men's 96.0529.4035/51.M Defy Xtreme Tourbillon Titanium Chronograph Watch I wasn't going to buy this watch, but then I noticed Amazon had it with $58,000 off! What a deal. With the money I saved I purchased a brand new BMW and still had money left over for a Disney vacation. How many watches save you money to buy a car and a vacation?